Stoics were well known in antiquity for the use of metaphors, as well as for developing concepts that to others sounded rather paradoxical, or even downright nonsensical. Cicero went so far as to write an entire book entitled Paradoxa Stoicorum. I maintain, though, that the Stoics weren’t fools, and understood perfectly well how some of their notions came across to non-Stoics. However, they used such “paradoxical” ideas and strange metaphors as a pedagogical tool to draw others into considering their philosophy seriously, rather than reducing it to what we today would call a bumper sticker version. 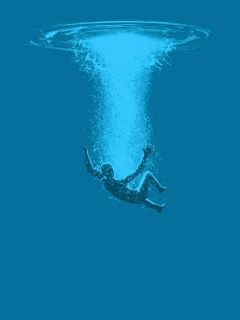 Arguably, one of the most famous metaphors deployed by the ancient Stoics is that of the drowning man, which is supposed to get across the point that we are all equally unvirtuous. A point that is, however, “paradoxically” linked to the idea that nevertheless one can be a prokopton, that is, one can make progress as a Stoic. But if virtue is all-or-nothing, what sense does it make to say that progress can be made? These two passages are very dense, let’s unpack them carefully, and then I will introduce my own metaphor to explain what, I think, the Stoics meant. To begin with, in the first quote Cato is readily acknowledging that there is such thing as progress toward virtue. He is just saying that if we have not yet achieved virtue then we are all equally miserable, both those that are far from the goal and those that are near it. I take this to be a humility check on ourselves: yes, yes, we are prokoptontes, but we are still all unvirtuous, and so there is no sense in feeling smug about those people who are not making progress. In the second quote, Cato is conceding that the Stoic conclusion may seem paradoxical, but since he believes it has been arrived at logically, then too bad for appearances: if something is right it is right, regardless of how strange it may sound to untrained ears. But the crucial point comes toward the end of the second quote, when Cato explains that although the Stoics think that virtues (and, for that matter, vices) cannot be increased in degree, they can be “expanded and widened in scope.” What sense can we make of such talk? A transition between two “phases,” i.e., to homogeneous states, of a given substance, occurs when some external conditions — such as temperature — change beyond a threshold that triggers a rather sudden, qualitative change in the physical properties of the substance. It is possible that the Stoics meant something like this when they said that virtue is all-or-nothing and yet one can make progress toward it. 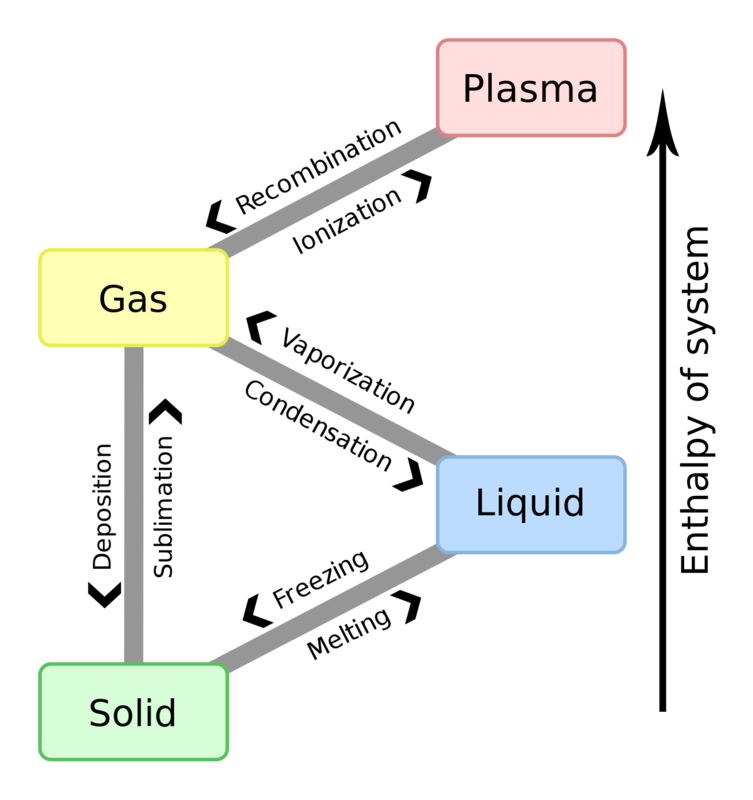 Water boils at 100C, and the phase transition is (pretty much) all-or-nothing, in the sense that the molecules are either still liquid or have already transitioned to vapor. Yet the pot of water has definitely “made progress” toward boiling, since it was further from it when the temperature was, say, 60C than when it reached 75C, and so forth until 100C. So perhaps we should think of Sagehood — if it is possible for a human being, a fact disputed by at the least some ancient Stoics — as a phase transition: one is a normal human being (and thus, in Cato’s words, “in misery”) all the while one is making progress, and then at some point the prokopton transitions into a full fledged Sage. It is even possible to apply the concept to other philosophies, such as Buddhism. I am largely ignorant of Buddhist literature, but my understanding is that the condition of “enlightenment,” or “awakening” is akin to a qualitative shift, that is, again, a phase transition. But early Buddhism explicitly says that there are four stages that eventually lead to enlightenment. So one is not enlightened while he is going through the four stages, and yes clearly one is making progress toward enlightenment all the while. Of course one doesn’t have to buy into every ancient Stoic notion in order to be a modern Stoic, nor is it a good idea to rescue every early Stoic concept (e.g., Chrysippus was certainly wrong when he thought the heart was the seat of the mind!). But it is a good idea not to dismiss foreign concepts just because they appear, at first glance, to be strange or nonsensical. I am certainly not a Sage, so in a sense I lack virtue. And yet, hopefully, I am a prokopton, actively making progress toward virtue. Nothing paradoxical about that. This entry was posted in Cicero, Virtue Ethics on September 6, 2016 by Massimo. One can liken it to the difference between progress and a paradigm shift. As an example, there were many labor saving devices invented throughout history but in the 19th century there was an abrupt paradigm shift with industrialization, because labor was no longer bound to the individual laborer but to machines. So while the ability to work progressed steadily throughout history, the advances of industrialization made them seem paltry due to the paradigm shift of the source of labor. I think the idea of the 4 stages is saying that you are enlightened (meaning you have transcended certain mundane characteristics) when you have entered the stream but there is still note to do. I think the idea of the 4 stages is saying that you are enlightened (meaning you have transcended certain mundane characteristics) when you have entered the stream but there is still more to do. I like the swimming/drowning metaphor. For most people walking on water is not an option. But even those of us struggling deep beneath the surface can occasionally push off the bottom and come up to catch that breath that allows us to continue the struggle. I hope one day to learn to tread water. One – in your study of sagehood I would at least be interested in a comparative study with the Jewish notion of a Tzadik, where with the more geographically co-existing traditions, the contrast may be more informative than the one with Buddhism. The metaphor of the man at the bottom of the sea who chooses to use what time he has while his lungs are still full – to swim to the surface – but who would surely drown if he remained at sea-bottom. That man, or woman, is a prokopton. If we stay at the sea’s bottom – surely we will be lost, but swimming to the surface there’s hope! More – we can have pity and compassion on those who choose to sit idly at the bottom. It’s possible to describe their decision as “evil” – but it’s also possible to see it as a sad and ignorant choice that – if sustained – will hopelessly lead to their drowning. First of all, “progress” in virtue is not fundamentally a matter of becoming more virtuous in any absolute sense. Rather, it is a matter of realizing, through the practice of virtue, how unvirtuous we truly are. This represents the growth in an essential pre-condition to true virtue – humility, the awareness of our moral destitution. Otherwise, the practice of virtue might make us proud and insufferable. How then do we receive true virtue? It must be granted as a gift from God once we see that true virtue is unattainable by our own efforts. Thanks for the correction, I have changed the phrasing of the OP. It may not surprise you to discover that I don’t think we need to wait for the grace of God, it’s really all up,to us, as imperfect as we are. Massimo, While I applaud the stoic pursuit of virtue, when accompanied by self-awareness of our failures, it it can be a painful and depressing thing. Denial, self-delusion, and the accompanying self-righteousness are easier, at least for the short run. Admittedly, I can only endure my repeated failures (and get back on my feet again) with the assurances of Christ’s all-surpassing love and forgiveness. I find nothing painful or depressing in Stoicism. But I respect your need for Christ. My observation (trigger warning for Italian readers): If you stick the pasta into cold water at the beginning and bring it to a boil, it clumps into a miserable mess (although still edible, as I remember from my days as a hungry student) … Maybe that’s a similar metaphor to putting a frog into a pot of cold water and bringing it to a boil? That is, if you don’t know you are born underwater into an unvirtuous environment, it’s harder to imagine escaping it by swimming to the surface. I find my struggle with meat eating to be similar to the drowning metaphor. I personally wish to stop eating meat. I have done it in the past but I tend to pick it up again during times of intense stress such as when I’m looking for work. There are many reasons not to eat meat but lets focus on the most obvious one. It is my personal opinion that it is wrong to kill animals strictly because eating their flesh gives me pleasure. To get back to the metaphor right now I’m drowning because I’m eating meat even though I view it as an “evil.” I am doing harm to my own virtue. For me eating meat is not brave, wise, temperate or just. It is an addiction that makes me feel better at great cost to other forms of life. However I eat much less meat now than I did in the past. The trend over my adult life is towards consuming less meat and at times I have stopped altogether. So I have been able to tread water in the past. So yes, I’m drowning as I am failing to live up to my own ideals, but I am not far from the surface and I feel that eventually I will get my head above water. I can’t claim to be virtuous because I’m only murdering only a few animals for my pleasure. That is a binary. But I’m also on a path to stop the killing. So while I don’t deserve a pat on the back there is real progress being made. Also I think it is important to remember not to self flagellate. If I were lost in the forest and starting to become distraught and suddenly found the path I would be very happy. But many people notice that they are being Bad Stoics(tm) become angry with themselves. Catching onself in a lapse is an essential part of the practice. We should reward ourselves for being conscious enough to notice and then to put our feet firmly back on the path. “It is the act of an ill-instructed man to blame others for his own bad condition; it is the act of one who has begun to be instructed, to lay the blame on himself; and of one whose instruction is completed, neither to blame another, nor himself.” (5) [tr. George Long (1888)]. 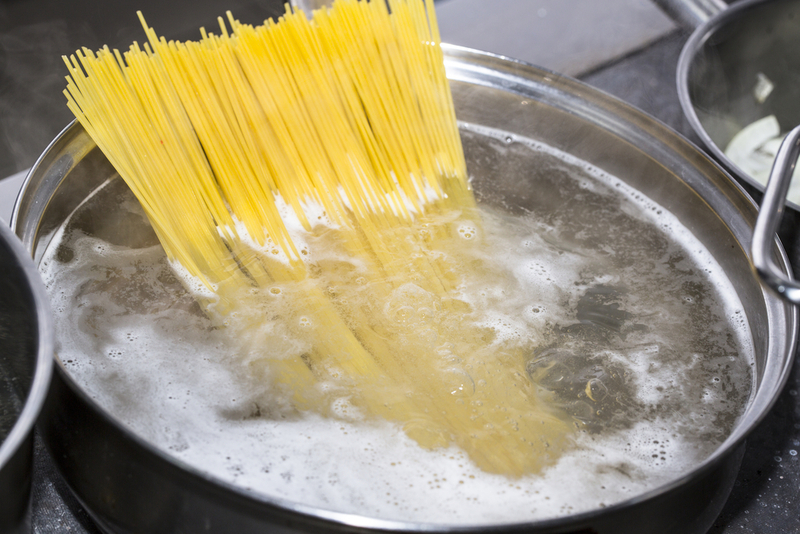 Boiling pasta from cold water?! That’s a sin!! But I take your point about the importance of the environment, with just a non-minor caveat: if the Stoic “developmental” account of virtue is close to right, and I think it is, even growing up in a bad environment we still retain a moral instinct of sorts, which can flourish under rather challenging circumstances. But yes, not under all circumstances. And yes about avoiding self-flagellation. Seneca is pretty clear on this: during the evening meditation, make a point of patting yourself on the back for everything good you’ve done. As for the bad, learn from it, but then forgive yourself and start a new day afresh. I have a problem concerning the phrase “all-or-nothing of virtue” and the metaphor of a phase transition. They center around the use of the word “all” and the absence of an quantifier before the word “virtue”. Do stoics maintain that after the transition to a new virtuous state, you will, in some sense, understand all the attributes of a virtue, of some virtues or of all virtues? Is the implication that once this new state is achieved there will be nothing more to learn. Or is the implication that in the new state you will now be capable of learning things that were inconceivable in your previous state? I get your question, but I think Sagehood isn’t as much about knowledge, it is about a way to live. The Sage, according to the Stoics, is someone who has achieved a state of permanent equanimity about things in the world. Knowledge, in the scientific sense, for instance, is a different thing, and a Sage can only be as knowledgeable as a human being can aspire to be. rather than an end point. It seems to me that once you have achieved stoic equanimity you have built a base from which to really start pushing the frontier of human involvement with society. Well, from a Stoic point of view a Sage is someone who has achieved perfect wisdom, so s/he has the highest possible understanding of human social involvement. There is nowhere else to go. Of course, this is entirely hypothetical, since the Sage is best understood as an ideal to strive for, not something that can actually be accomplished by any real human being (though, to be fair, there was disagreement among the Stoics on this point). I guess I have a problem with understanding “perfect” in the real world. Well, as I said, it’s an idealization. But for all effective purposes it means “as wise as a human being can possibly be.” It’s good enough for practical purposes, and Stoicism is definitely a practical philosophy.